Showing results for tags 'lightwave'. Source... Vizrt, the world’s leading provider of visual storytelling tools for media content creators, has acquired NewTek, world leader in IP-based, software-driven live video production solutions. The acquisition creates the largest company in the broadcast space that is dedicated to enabling IT based video production. The goal is to make it possible for people to tell their story using video, whether they are a kid in a classroom or a tier-1 broadcaster. I import a LW object, which has two surfaces named, for UV mapping. The dialog is the one for importing a mesh for per pixel painting, and maybe this is where I misunderstand. Once I hit OK, I have only the first UV set. Kind of confusing (to me), when it looks like it's going to generate one UV set per surface. I assume it isn't, because it doesn't, and that if you want different uv sets per surface, you have to set that up separately. It appears that I'm getting significant normal map artifacts with the latest version of 3dCoat 4.1.17D. In previous versions, I would always get clean normal maps by simply exporting the object as a LWO. I've tested the objects in both Lightwave 11.6.3 and Lightwave 2015.1 to see if it was a Lightwave problem, but the same artifacts show up in both versions. I then loaded scenes with objects and normal maps generated by previous versions of 3dCoat and the renderings are clean with no artifacts. See images. 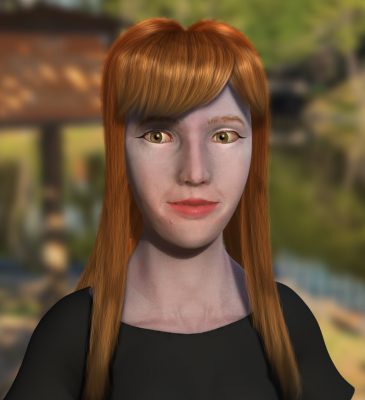 The first image is an older scene using Lightwave 2015.1. The second image is a new scene using Lightwave 2015.1 ... it looks the same in 11.6.3. $7 Video Sale!! All 3D Coat Tutorials Only $7 Each at Learn3DSoftware.com!! Get 63% Off!! 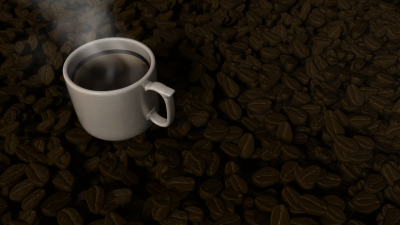 I recently made this short animation which required sculpting a coffee bean in 3D-Coat, then auto-retopoing and bringing it into LightWave where it was instanced many times to make the "floor" of the scene. This was Episode 7 of my series, jWords, where each epoisode teaches a few Japanese words. Happy New Year Everyone!! We are are having a $7 Video Madness Sale at Learn3dSoftware.com All 3D Coat Video Titles are only $7 Each along with our other 3D software packages. So that's approximately 63% OFF our regular prices!! Or $12.00 in savings for each video title!! Visit Us At: http://www.learn3dsoftware.com/7_dollar_madness_New_Years_2014.htm Sale ends soon!! New User from the UK here, Downloaded the Trial Version to sample 3DCoat over the next few days before making my final decision to buy. I am using 3DC in conjunction with Lightwave 11.6 on the Mac and have tried setting up the I/O app connection with partial success. I can File>Export to Lightwave and receive the file but cannot Export to 3Dcoat. *I believe i am using version 1.3 (finding this version was slightly confusing as I believe it would be easier to either keep the applink download up to date or keep ALL versions in most recent release order on the 1st post of the thread detailing the downloads, as well as a duplicate link on the most recent post announcing its release.) This though has had the positive effect of making me work with and understand workflow between the two applications. One thing though has me a little stumped - that is Brush creation. From what I understand to create a *.psd useable in 3DC it must be of size 128,256 or 512 in size and have four layers named as follows; Color HeightMap Specular EraseMask Once created the base colour of these should be set to; Color=White (white areas will be of current paint in 3DC with grey providing tints, I assume black = no colour.) Height=Grey 127,127,127 (any white will result in extruded/raised surface with black resulting in the reverse.) Specular=White (any black will result in specular being painted.) Erase=Black From what I understand I save this as a PSD and can then drag the file to 3DC to create a brush, all I get though is a small cancel window. So I tried an alternative method of going to the brush window and clicking the plus sign and selecting the PSD from my desktop, this results in nothing happening. Is there a limit on the Trial version I have missed e.g. certain functions restricted, this being one or am I doing something wrong? Any help would be gratefully received, thanks. Preserving original mesh with Lightwave subD models? Here's the first of my questions, and apologies in advance if it's a case of RTFM. There's a host of info out there and parsing through all of it in a short time can be overwhelming--so here I am, asking you. I started by bringing in a .lwo object of a human figure. It's a pretty low-poly base mesh smoothed in subD. In the import process I was asked how many polygons I wanted to use, which gave me pause because i really wasn't sure how to answer. I picked an arbitrary intermediate value and then went to town unwrapping the model. The unwrap process was a dream, by the way--bravo! When I exported the model back to a .lwo, I ran into the issue that brought me here. No matter what I did, including specifying exporting a low poly model, the resulting .lwo's base geometry was changed from the original--it was smoothed a great deal with a higher poly count. Is this result typical? Is there a way to unwrap the model at a higher sub patch level but save the final result back at the original resolution? Many thanks in advance!